The result of a meticulous and continuous evolution that has been applied to the refinement of every detail. 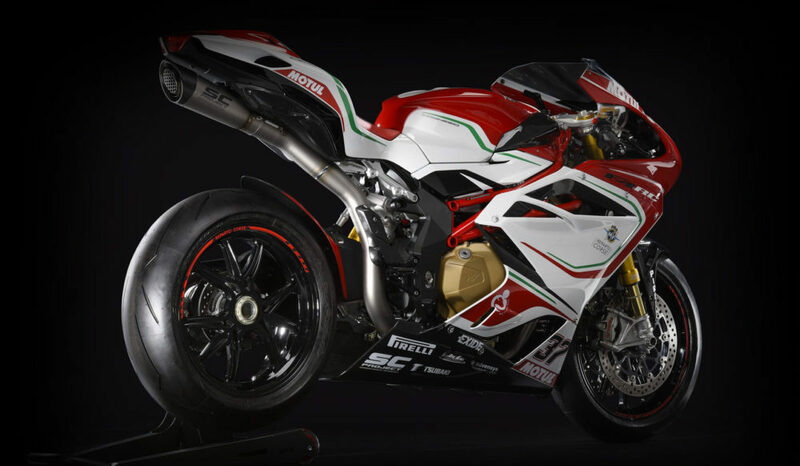 The new MV Agusta F4 RC excels both on the road and the track with it’s direct connection to WSBK championship racing. It is therefore unquestionable that you will discover the same technical pedigree of the ‘Reparto Corse’ F4 ridden by the WSBK riders. As with the WSBK F4, the F4 RC can be both enthralling and efficient; the most comprehensive package amongst Hypersports. Elegant and simple, the F4 RC is instantly recognizable with a stunning red and white graphic base as that used on the official version, including sponsor logos. 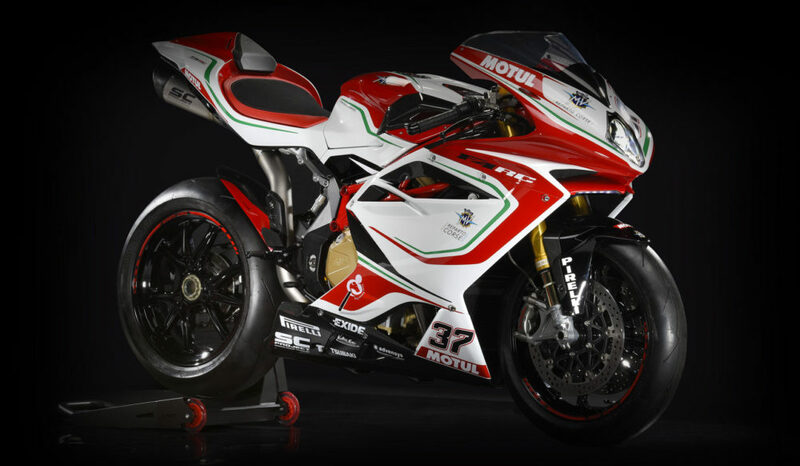 The number “37” embellished on the fairing is a reminder of the constructors World titles won by MV Agusta. Each of the 250 pieces that make up the total production of the new F4 RC, is a real collector’s item accompanied with a valuable racing kit. The classic wood box contains high quality components, specifically designed and built for the racing F4 RC. In detail: the SC-Project titanium single exit exhaust system has been developed together with the dedicated racing Electronic Control Unit, which forms part of the kit. The single seat tail unit lightens the bike and aesthetically underlines the racing vocation. The fuel cap and mirror inserts that allow the user to remove the mirrors for track use are machined in ergal aluminium 7075 providing functional value and enriching further a bike that has redefined the Hypersports category. The under tailpiece exhaust shroud is manufactured in carbon fiber, to assist heat transmission with the minimum weight. The personalized protective bike cover and Certificate of Authentication make the F4 RC even more exclusive.